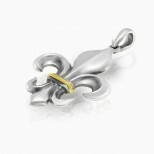 .925 Silver with 18 k Gold middle band of fleur de lis and a shiny finish. 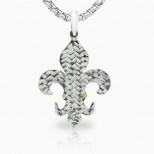 Length of pendant is 50 mm (2 inches). Width is 35 mm (1 1/8th inch). Thickness is 2.8 mm. 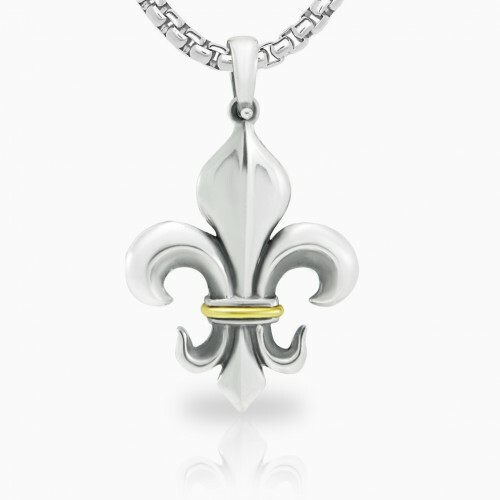 This listing is just for the pendant, chain is not included.